The use of the CRISPR/Cas9 prokaryotic adaptive immune system has led to a breakthrough in targeted genome editing in eukaryotes. The CRISPR/Cas technology allows to generate organisms with desirable characteristics by introducing deletions/insertions into selected genome loci resulting in the knockout or modification of target genes. This review focuses on the current state of the CRISPR/Cas use for the generation of plants resistant to viruses, bacteria, and parasitic fungi. Resistance to DNA–and RNA–containing viruses is usually provided by expression in transgenic plants of the Cas endonuclease gene and short guide RNAs (sgRNAs) targeting certain sites in the viral or the host plant genomes to ensure either direct cleavage of the viral genome or modification of the plant host genome in order to decrease the efficiency of virus replication. Editing of plant genes involved in the defense response to pathogens increases plants resistance to bacteria and pathogenic fungi. 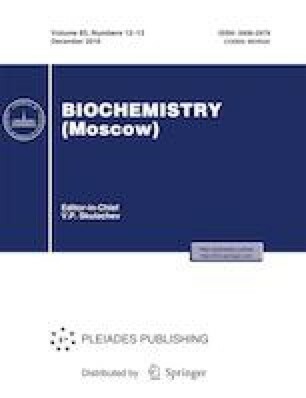 The review explores strategies and prospects of the development of pathogen–resistant plants with a focus on the generation of non–transgenic (non–genetically modified) organisms, in particular, by using plasmid (DNA)–free systems for delivery of the Cas/sgRNA editing complex into plant cells.